Curator Olga Sviblova has opened an exhibit, “Russian Cosmos,” at Italy’s Castello di Rivoli Museum. While Sviblova has been a long-time promoter of Russian art globally, this is exhibit represents her first attempt to tackle space. Olga Sviblova’s exhibit is not as romantic as the Castello di Rivoli Museum: it presents a Russian utopia that gave rise to a Soviet-era space reality and subsequently a space myth destroyed by disrespectful Russian modern art. And it is modern art that dominates the exhibit. The long-time advocate for Russian art abroad talked to Olga Kabanova of “Vedomosti” about Russia’s place in the art world and what she hoped to express in her latest show. Vedomosti: You have to deal with the very challenging task of creating a Russian national image. For many years, you have been holding Russian avant-garde photo exhibitions, but that theme seems to have been exhausted by now. Olga Sviblova: We organize various exhibitions abroad, but Westerners are really most interested in the avant-garde. We have been showing Alexander Rodchenko’s exhibition for many years, but adapt it for each country. In London, we showed the classics of modernism, as that had been left out there before. And in Berlin’s Martin-Gropius-Bau, where Rodchenko exhibited back in the 1920s and where everyone knows all about modernism, we highlighted the tragedy of an artist killed by the system. In Rome, we are now putting on the exhibit with a completely different focus on telling the artist’s full life story. V: But while everyone has already seen Rodchenko, outer space is a new export finding, a Russian myth. O.S. : “Russian Cosmos” shows how this myth was created in unique materials: Tsiolkovsky’s drawings, his model airship and the auditory tube that he used to listen to the music of the spheres. Works of Russian avant-garde artists who picked up his ideas are exhibited nearby. We show works by Vasily Chekrygin on the resurrection of the dead, which is a teaching of Nikolai Fyodorov and the only original branch of Russian philosophy, which today, in light of new scientific advances, has become a reality. V: Are you talking about cloning? O.S. : Yes. Russians have a knack for big-time utopian ideas that later become reality. Tsiolkovsky was Fyodorov’s student and [Boris] Korolyov’s teacher. 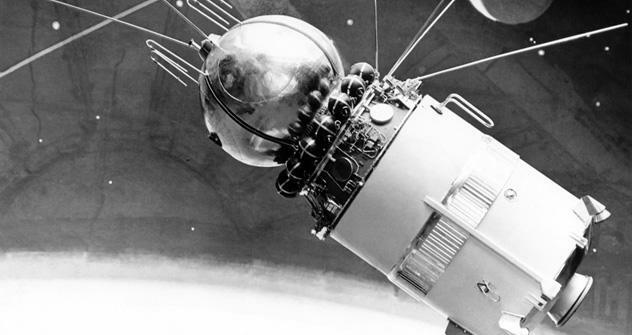 We demonstrate how the Russian space dream lived on and developed, how outer space was mythologized in the Soviet Union and how it became a symbol for political retribution. Back in 1967, however, Francisco Infante started a dialogue with the Russian avant-garde movement, borrowing its flexible system but not its totalitarian ideology. His “Star Sky Reconstruction Project” is a work of genius about space exploration as violence against nature. V.: Infante’s works are still beautiful, but what followed was sheer mockery. O.S. : Sure enough, all Soviet myths were dispelled in the 1980s. The artist tests their endurance, and all Soviet myths fall to pieces, yet the space myth survives. All our art in the 1980s toyed with the space dream, not without irony, of course. But the works by St. Petersburg art group ASA are both heroic and ironic. Indeed, this is an example of a wild, charismatic, youthful outburst of energy, but it uses the space theme. Take the work by Timur Novikov at that time: a small moon rover against the background of a high, Malevich-style skyline, the story of a small man in the face of a big myth. V.: Do you think that space is still a dream? O.S. : Nothing has happened to the space myth, even though everyone has become sick of it, of the annoying saying, “But on the other hand we produce rockets…” As I was preparing the exhibit, I learned that a Russian rocket had exploded and a fragment of it had made a hole in the roof of a building in Kosmonavtov [Russian for Astronauts’] Street. V.: There’s no one to blame for an excess of irony here. O.S. : The space myth is not dead because it has a much-needed heroic basis. The work by Blue Noses, showing the launch of a rocket out of trousers is mockery, of course, but romantic. And I don’t see any excess of irony in the exhibition. It culminates in Gagarin, whose flight was, both for our country and the entire world, a joyous event, an explosion of mental energy. V.: Before we finally make it to the stars with Gagarin, we have to go through a rough patch, like Sergei Shutov’s silhouettes of celestial bodies made of barbed wire. O.S. : Of course, everyone understands what this wire is hinting at. And yet, outer space should be a space of freedom, as Tsiolkovsky dreamed of it. V.: Will you show this exhibition in Moscow? O.S. : We prepared it specifically for Castello di Rivoli: we placed orders with artists; we retrieved old works that had not been exhibited in a long time. Of course, I’d like to show it in other countries, and in Moscow, where I’d complement it with Ilya Kabakov’s brilliant installation piece, “The Man Who Flew to Space” – each of us sometimes wants to travel to a different space, to be free. And I am sure that we must show others what we really are. Only then will we be interesting to others.